Located just one mile from the Mariner – the Cape Cod Curling Club celebrates their 40th year! The summer bonspeil is their signature event with teams coming from all over the U.S. and Canada. We welcome friends both old and new to come stay at the Mariner. 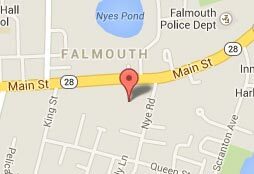 Enjoy a short stroll to Falmouth center’s many shops and restaurants or relax by our pool and picnic area.